I painted this last year while staying in Irvine for a conference. The hotel smelled like butter, but where I was painting smelled like hot earth, sage, and the sea. 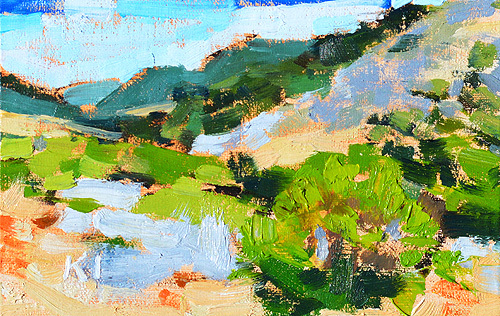 This entry was posted in Landscape Paintings and tagged 4 x 6 inches, crystal cove, laguna beach, laguna canyon, landscape painting, oil on linen on panel on June 20, 2014 by Kevin.